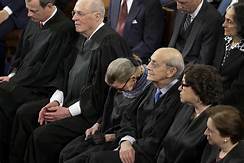 Dead people vote democrat, why shouldn’t dead democrats remain on the bench? Kagan reportedly said Trump will not get another Supreme Court nomination over Ginsburg’s dead body. Posted in In the News, Politics, Satire. Bookmark the permalink.